Chemtrails and What you can do to Stop Chemtrails - Chemtrails Spraying and What you can do to Stop Chemtrails - WHAT YOU CAN DO TO STOP CHEMTRAILS Chemtrail Information - Stop Chemtrail Spraying in California! Ventura County was just hit with a Sixteen day chemical bath in late October 2010 and most of its citizens didn’t even know it happened. Residents moved about shopping, taking their children to school, running errands, going to work, attending churches, taking evening walks, enjoying outside activities and never knowing they were being sprayed with a toxic bath of submicron metals and chemicals. Residents in Ventura County are now breathing an atmosphere that has been geoengineered to contain ethylene dibromide, aluminum oxide, strontium, cadmium, mercury, decussated red blood cells, radio active thorium, yellow fungal mycotoxins, mold spores mycoplasma and assortment of other toxic soups. The people who run Ventura County and its cities are asleep at the wheel. No one in any election even brought up chemtrails while their volunteers stood on street corners holding election signs and breathing in toxic air while they should have been inside. Many adults and children in Ventura County are walking around wondering why they have dry coughs, unexplained itching, ringing in the ears, brain fog, dizziness, flulike symptoms, respiratory problems, and headaches. Find your member of Congress from U.S. League of Women Voters. Find your Congressional representative: From Project Vote-Smart : enter your 9 digit zip code, then submit the query. Campaign financing and stands on issues are usually available. Educate yourself on chemtrails so you can tell others. Call all the numbers on our “What you can do” page. Educate your elected officials at every level. Be VERY persistent to with them. Write letters to the editors of local newspapers. Educate environmental groups who may know nothing about these topics. Educate college students and community groups. Educate your pastors and elder boards. Educate your doctors and nurses about chemtrail health effects. Call radio programs that you listen to and educate your favorite talk show host. Call local TV stations and ask them to cover chemtrail spraying our area. Educate coaches on all levels about outside exposure to players during chemtrail spraying. 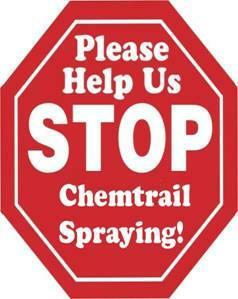 Make some flyers and post them around your city/county about chemtrail spraying. Stand on busy corner with signs letting people know they are being sprayed. Test Yard and water samples for metals toxins. Check with local labs. I’d like to challenge any college football player to stop play during games and point to the chemtrail in the skies to wake up the people. Educate local judges, county clerks, county commissioners, and police. Educate high school and college environmental groups. Educate lawyers who can file injunctions for your community to stop chemtrail spraying. Create Facebook pages, chemtrail blogs and twitter friends when you are being sprayed. Get Out Those Cameras and take pictures and videos and send them to family, friends, and Ventura County elected officials. Become a lobbyist and educate your elected officials and their staff. Post videos on Youtube and let the world know that the people of Ventura County California are being sprayed against their will. When you are being sprayed, send and email to everyone in your email box that lives near you and tell them to go outside and look up. When being sprayed call someone and tell them to look up. Alert others when you are out at market, restaurant, mall, gas station when you see chemtrails in the sky. Boycott any companies involved in producing any chemtrail related product/service. Stand on corner with a “Stop Chemtrails!” sign. Wear a gas mask. Create phone groups that call Ventura County elected officials and Air Quality Control District officials when spraying starts. Contact your Elected Representatives at this Toll Free # (866) 220-0044 in Washington, D.C.
Write articles for your local papers asking them to cover these issues. (The newspapers in Ventura County are also asleep and need to be waked up). Encourage each other. We have all been exposed to the same toxins and each person may be reacting differently to the chemicals they are breathing. Let’s be gracious towards one another, join together, and stay focused until we are able to get chemtrails spraying stopped. The BONNEFIRE Coalition aims to take real action against persistent jet contrails. Enough is enough — it's time to take meaningful, positive action to take back our skies and protect our planet. BONNEFIRE offers an opportunity to be a part of a well-planned and concerted effort designed to have our legitimate concerns met. Find out more about what you can do to participate. Together we can make a real difference. Let's get it done!